Intel’s CES 2018 news hasn’t been of great interest to PC enthusiasts so far. It has released a considerable chunk of news about self driving cars and associated technologies, a couple of updates on matters of security, a video of Brian Krzanich in a Volocopter, and yesterday set a Guinness world record for flying 100 mini-drones indoors. However, it has announced major milestones in the progress of what some people think could be the future of computing; its Quantum and Neuromorphic computer research. During his keynote address on Monday, Intel CEO Brian Krzanich announced the successful design, fabrication and delivery of a 49-qubit superconducting quantum test chip. The announcement came just two months after Intel’s delivery of a 17-qubit superconducting test chip. That certainly sounds like an impressive rate of progress, rival IBM also has an “operational prototype 50 qubit processor,” but took quite a bit longer to get there from its 20qubit predecessor. Intel’s 49-qubit superconducting quantum test chip is dubbed ‘Tangle Lake’, after a chain of very cold lakes in Alaska. The name is recognition of the extreme cold temperatures required for superconductivity. We’ve heard it before, and the Intel CEO was keen to remind keynote attendees, that quantum computing will solve problems that today might take our best supercomputers months or years to resolve; such as drug development, financial modelling and climate forecasting. Mike Mayberry, corporate vice president and managing director of Intel Labs made an interesting prediction regarding commercial quantum computing. He said that it will be “seven years before the industry gets to tackling engineering-scale problems, and it will likely require 1 million or more qubits to achieve commercial relevance.” That number is rather higher than what other companies have put forward. However, more qubits aren’t always better, if the error rates are high. As well as its superconducting qubits research Intel is investing in spin qubits in silicon. These offer a scaling advantage and are “similar in many ways to conventional transistors and potentially able to be manufactured with comparable processes”. 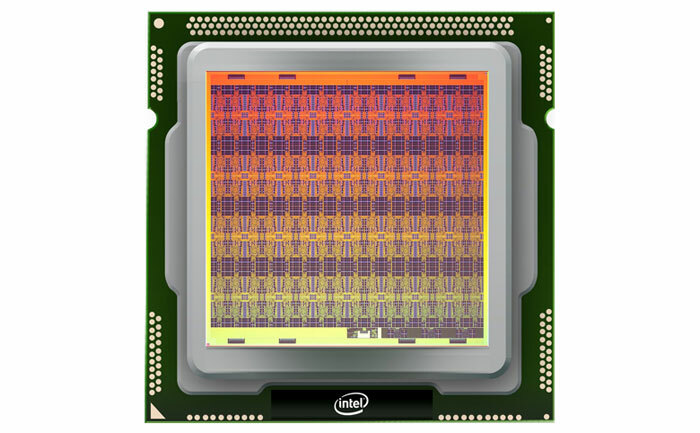 We have written about Loihi before, back in September, it is a neuromorphic research chip from Intel which mimics the brain’s basic operation in silicon. This is great for where real-world data needs to be processed in evolving real-time environments, according to computer researchers. We didn’t hear any specific update about the hardware but Krzanich said that Intel was making great progress (and the chip photo looks quite different than before). Loihi can “add to the breadth of AI solutions that Intel is developing,” said the Intel CEO. More specifically, the chips are expected to enable smarter security cameras and smart-city infrastructure designed for real-time communication with autonomous vehicles. The first Loihi chips will be sent out to university and research institutions in H1 2018, said Krzanich. … dubbed ‘Tangle Lake’, after a chain of very cold lakes in Alaska.